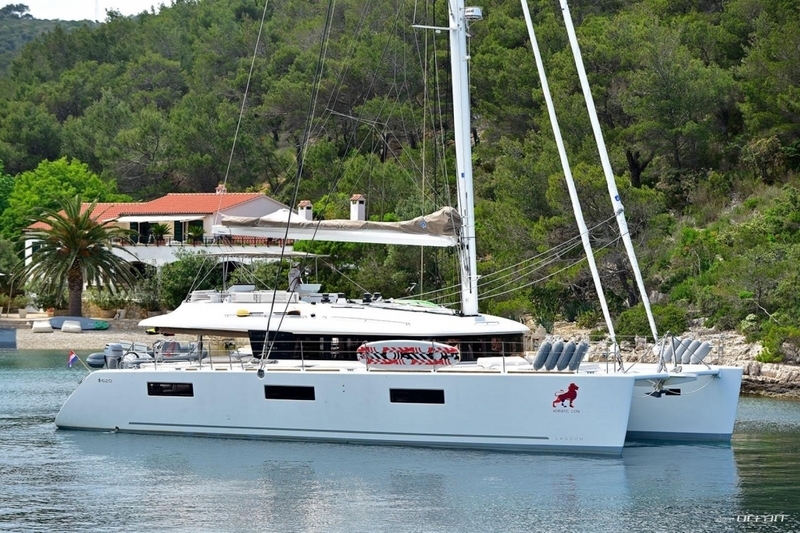 We are delighted to welcome our latest luxury catamaran fleet addition in Croatia - a Beneteau Lagoon 620 ADRIATIC LION. 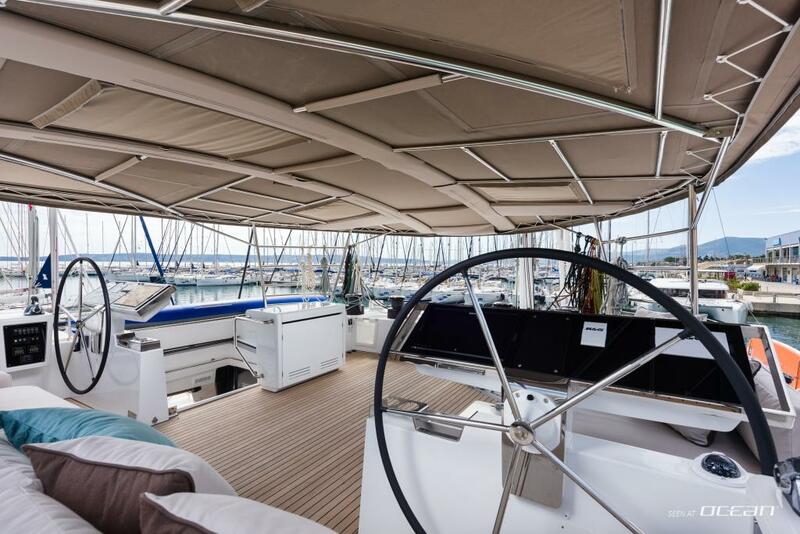 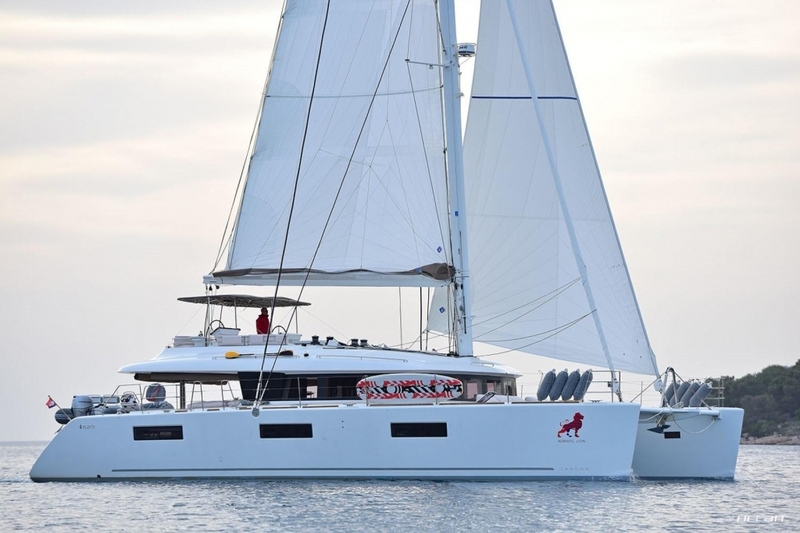 We have spared no expenses to provide an exceptional luxury crewed sailing experience by completing this package with an impeccable crew and fully loading our ADRIATIC LION catamaran with almost any feature available for this Lagoon flagship. 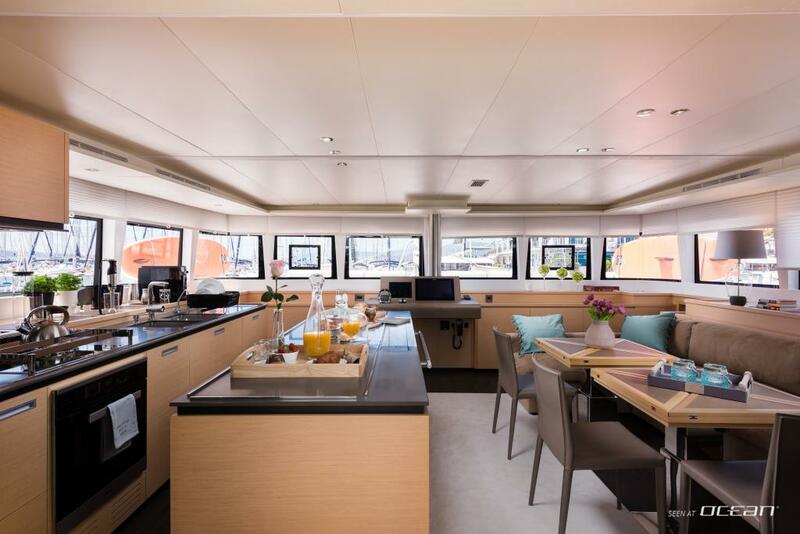 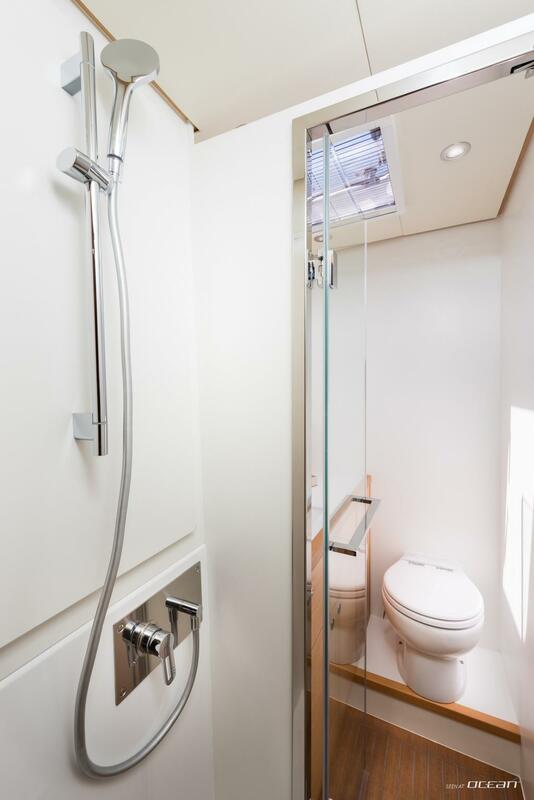 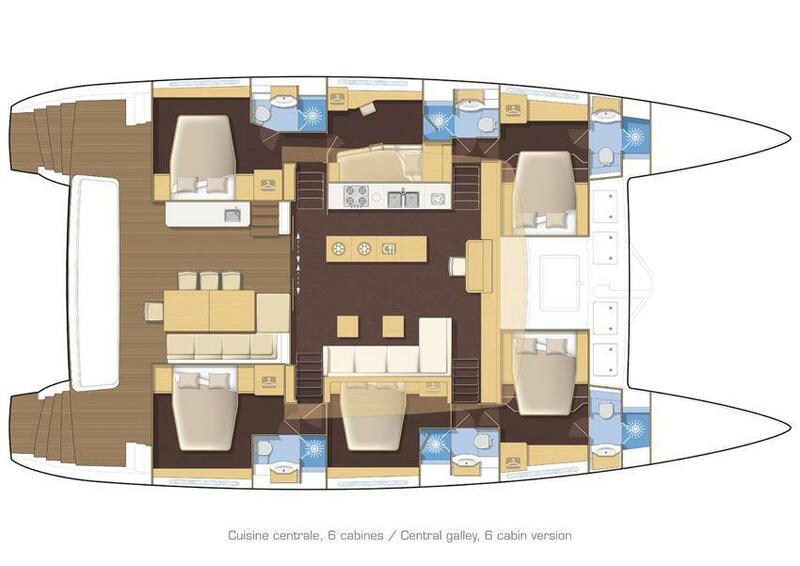 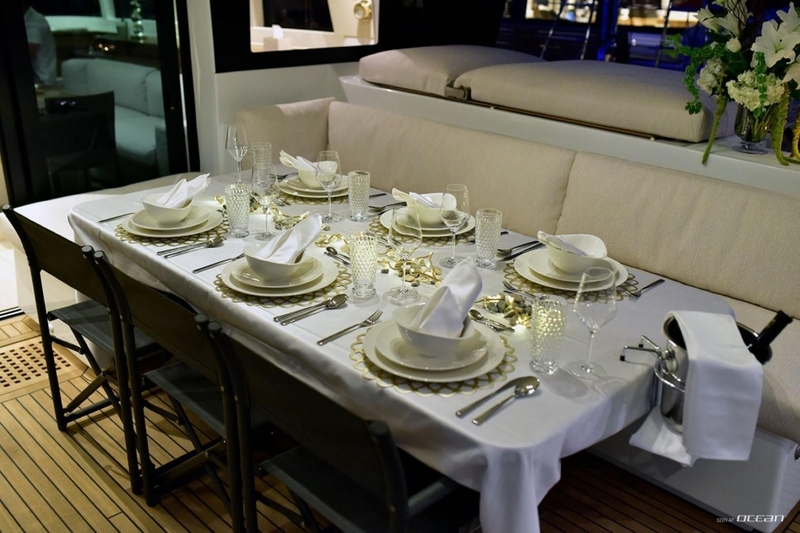 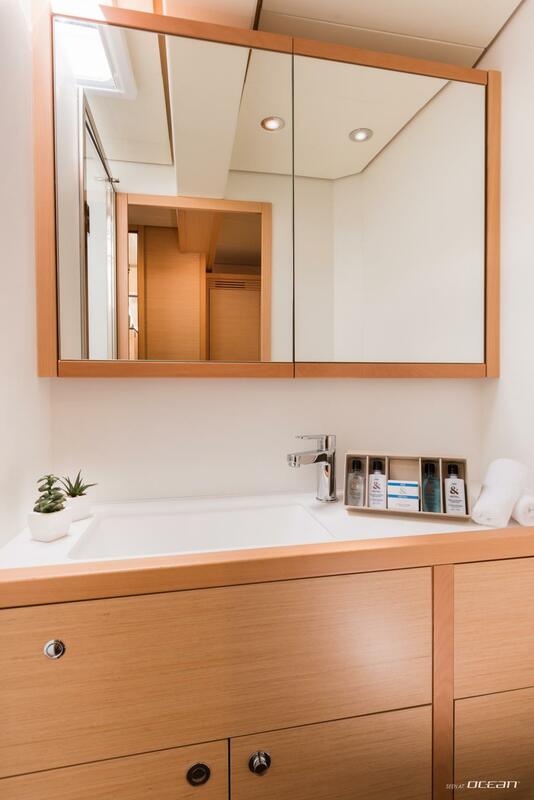 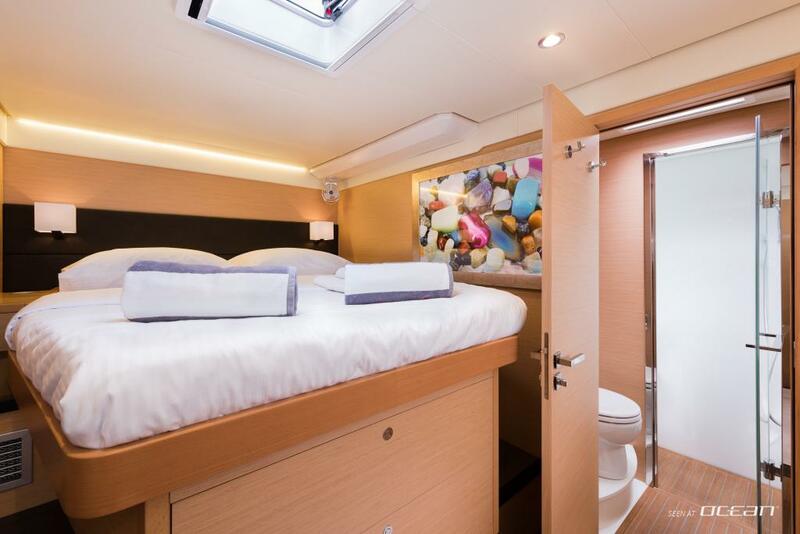 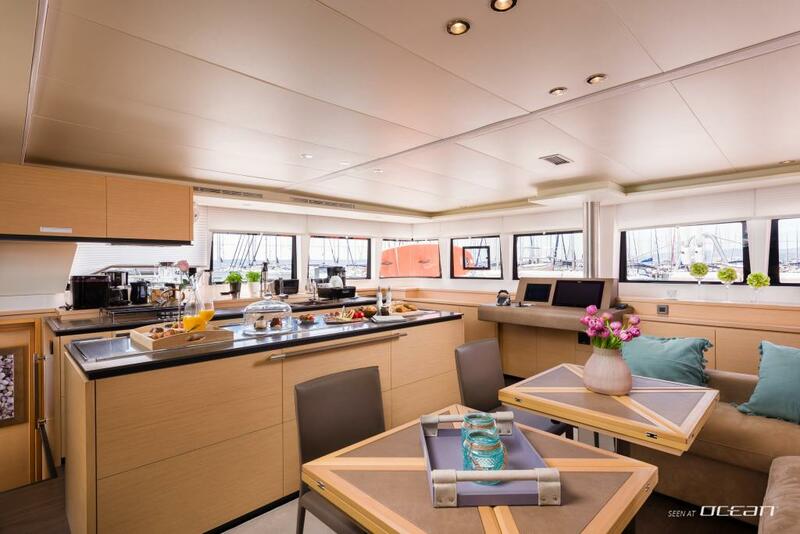 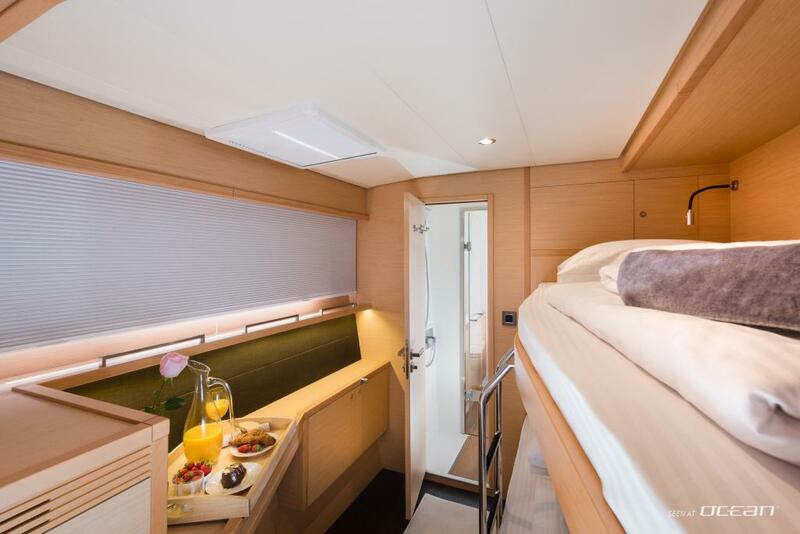 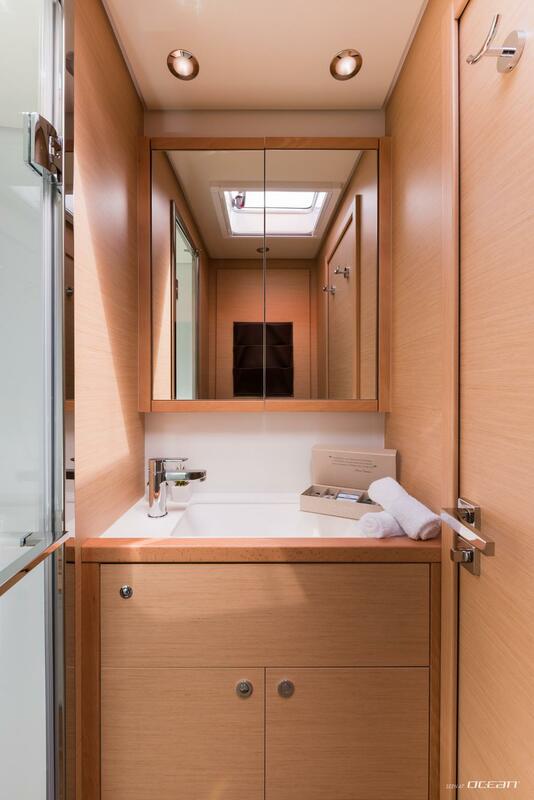 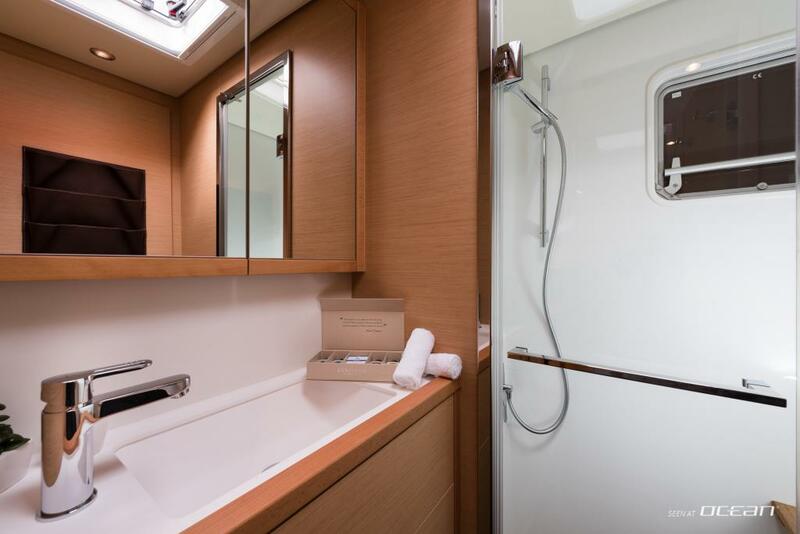 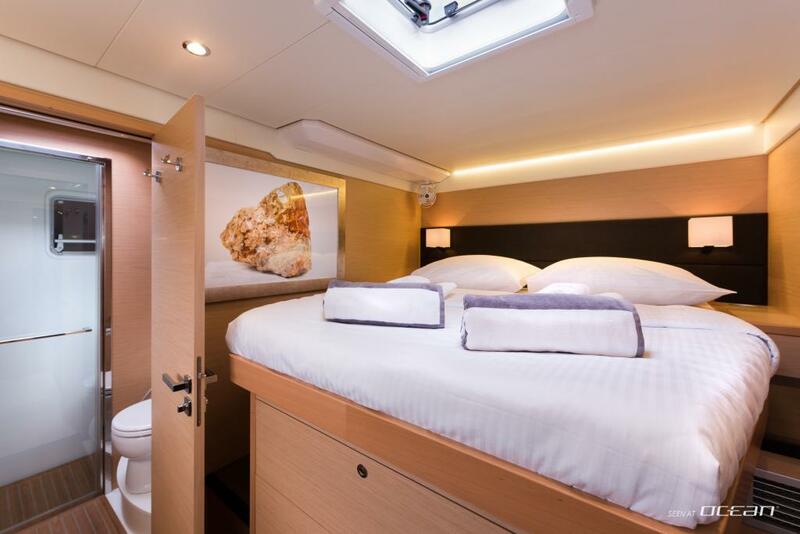 Up to 11 guests on board will be able to enjoy amenities available throughout the yacht as well as comfort features unprecedented for a luxury catamaran of 62 feet. 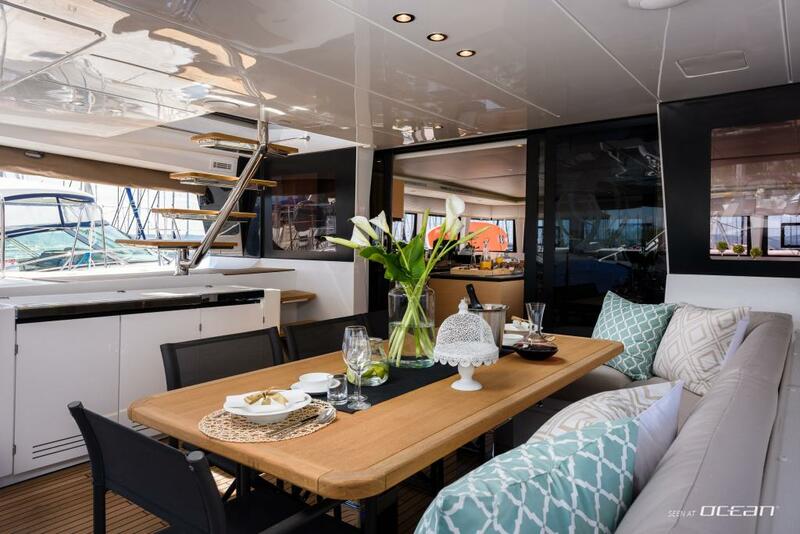 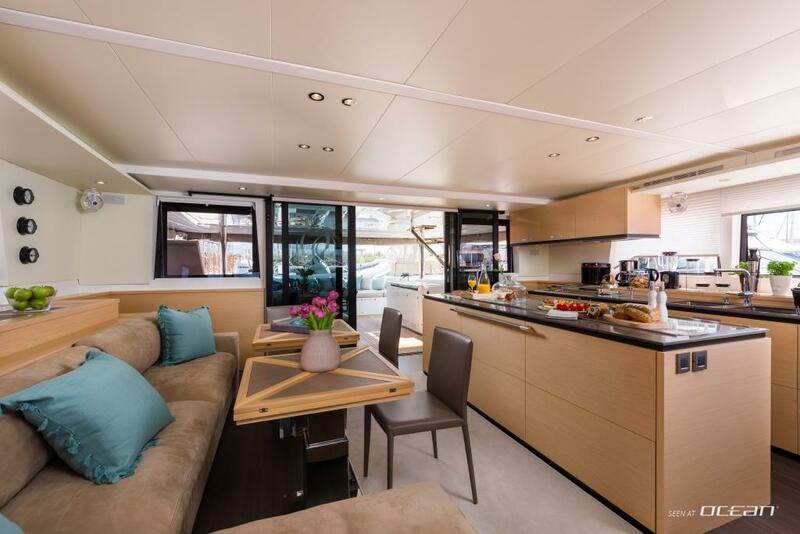 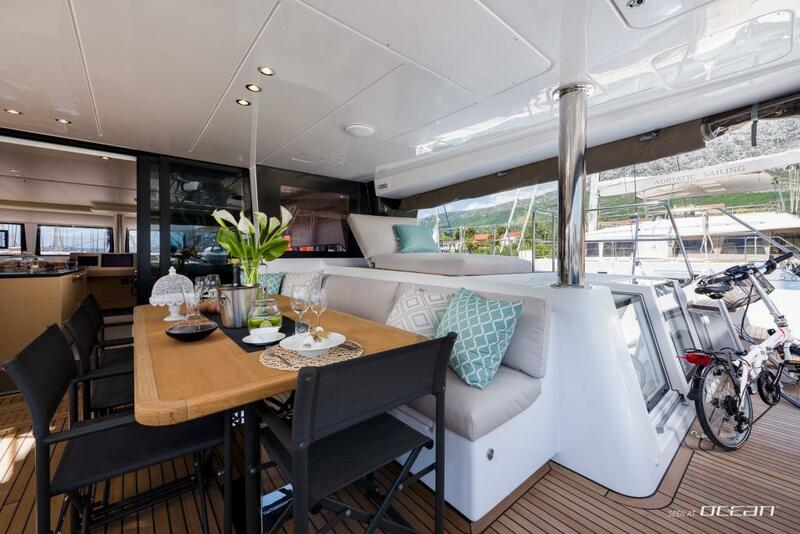 Putting luxury and the family feeling to the fore there is also the fun our Lagoon 620 ADRIATIC LION catamaran stands for. 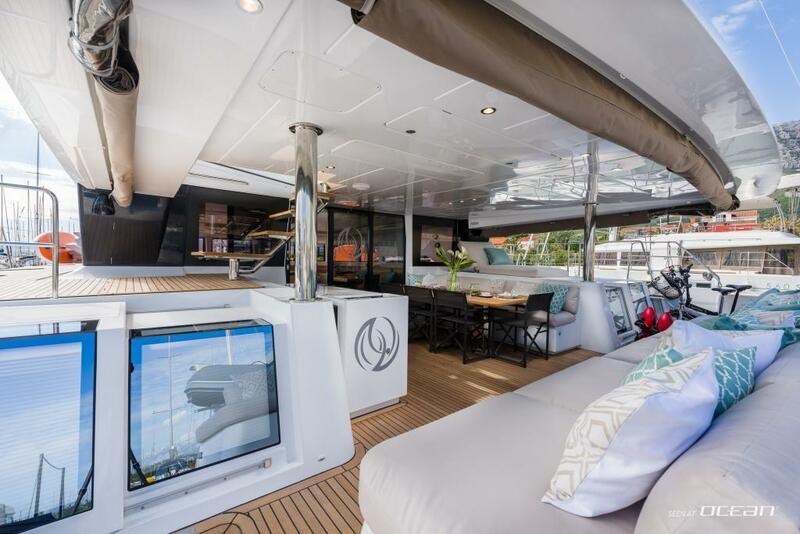 Audio-visual entertainment system, water toys and plenty of spacious exterior including a stunning flybridge and interior areas will ensure guests are entertained. 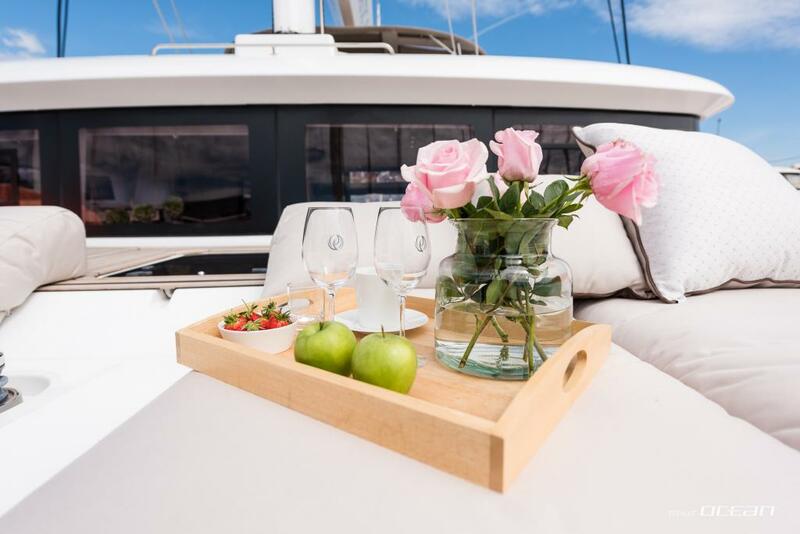 Relaxing, sunbathing, alfresco dining, lounging, socializing - it's all yours. 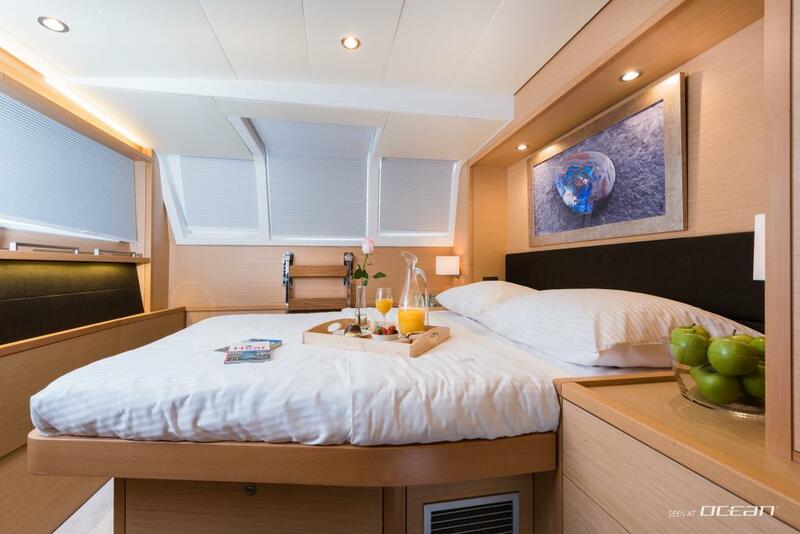 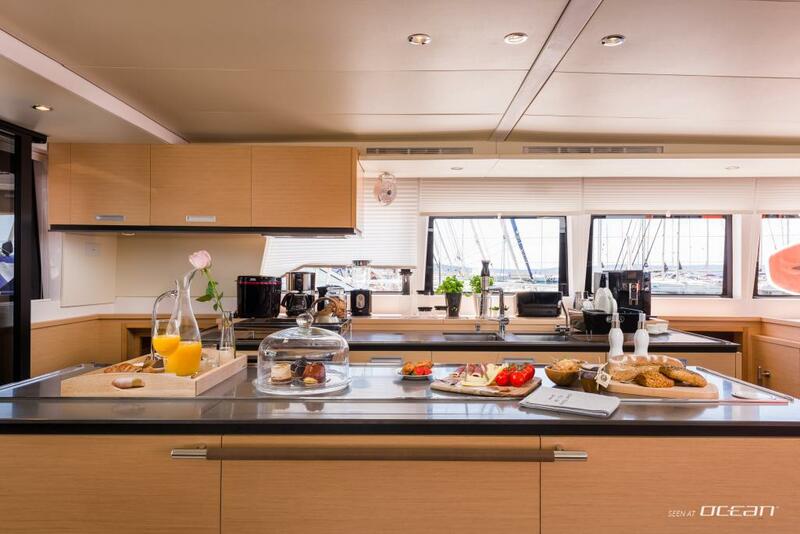 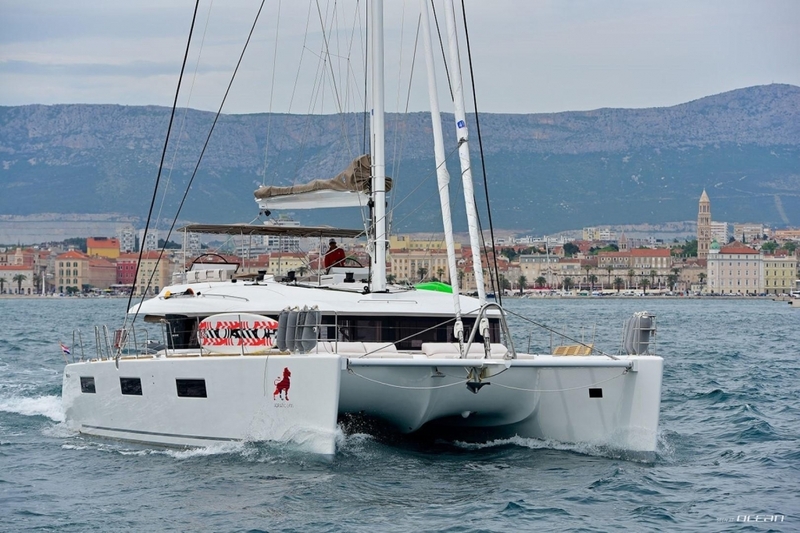 Charter catamaran ADRIATIC LION is a top-notch luxury crewed sailing catamaran, a Lagoon 620 of finest caliber waiting with its crew and five-star treatment to whisk guests away on a tour along the coast of Croatia and Montenegro. 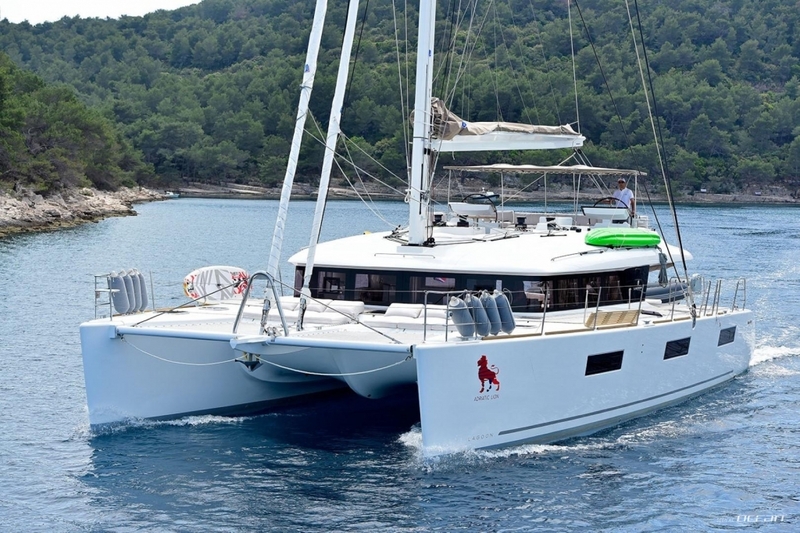 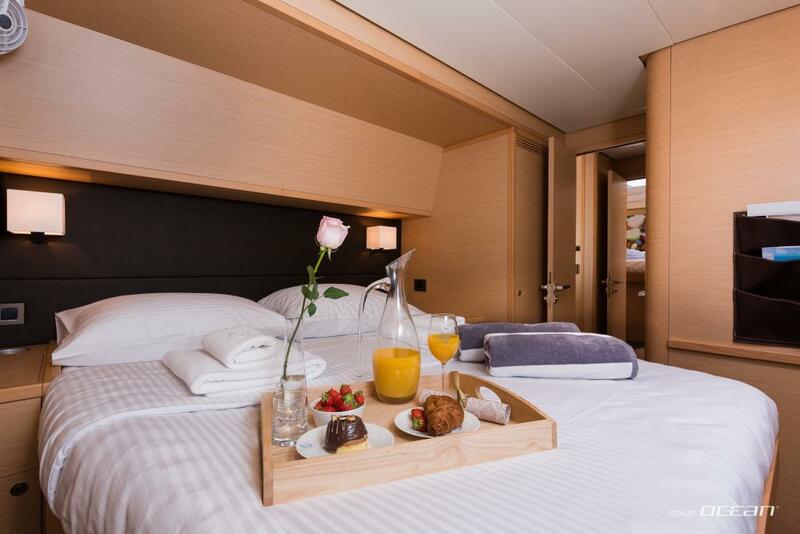 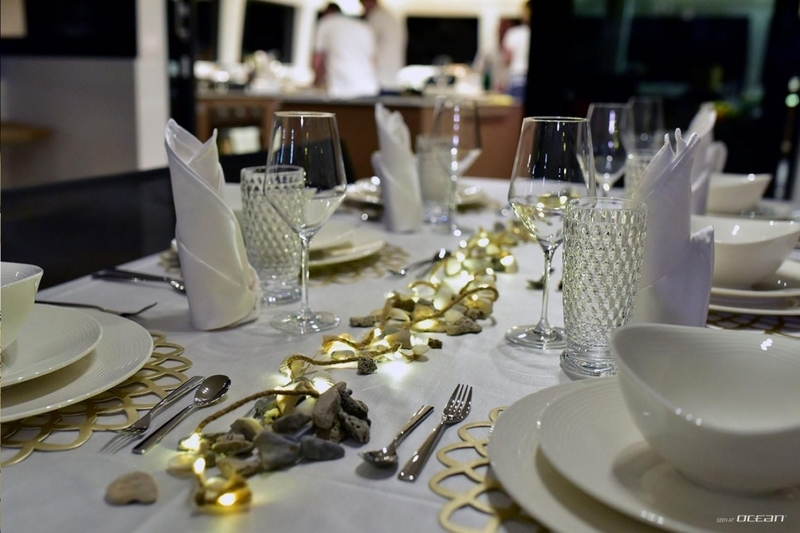 Standing out with an impeccable service of 3 highly professional crew members comprising a skilled captain, fantastic hostess and a chef who will ignite your senses with finest Mediterranean food, ADRIATIC LION Lagoon 620 is worth to be considered for luxury sailing holidays in Croatia. 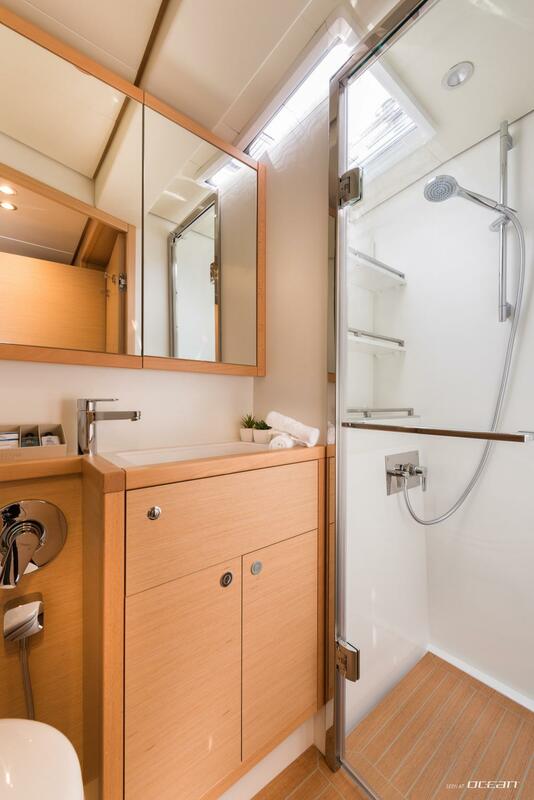 Available from Kastela nearby Split airport one way charter to Dubrovnik and famous islands like Hvar and Brac are available on request. 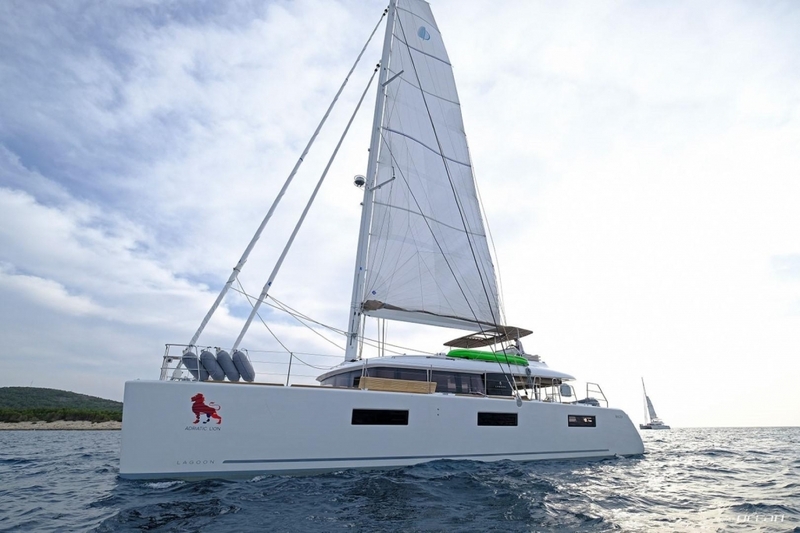 Inquire now to ensure prime dates and to avoid disappointment for this extremely popular luxury catamaran for charter in Croatia. 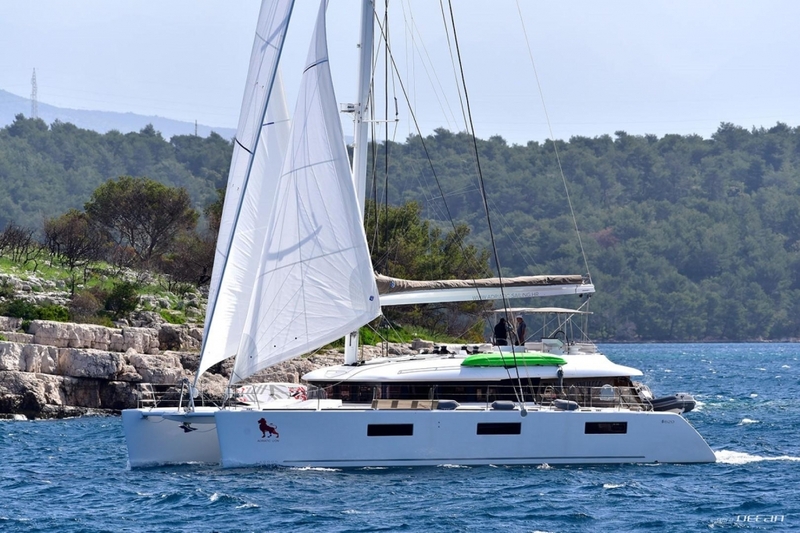 Charter catamaran Lagoon 620 ADRIATIC TIGER is based in Kastela near Split but will consider charters from and to Dubrovnik as well as Montenegro but also famous islands like Hvar, Brac, the Kornati islands. 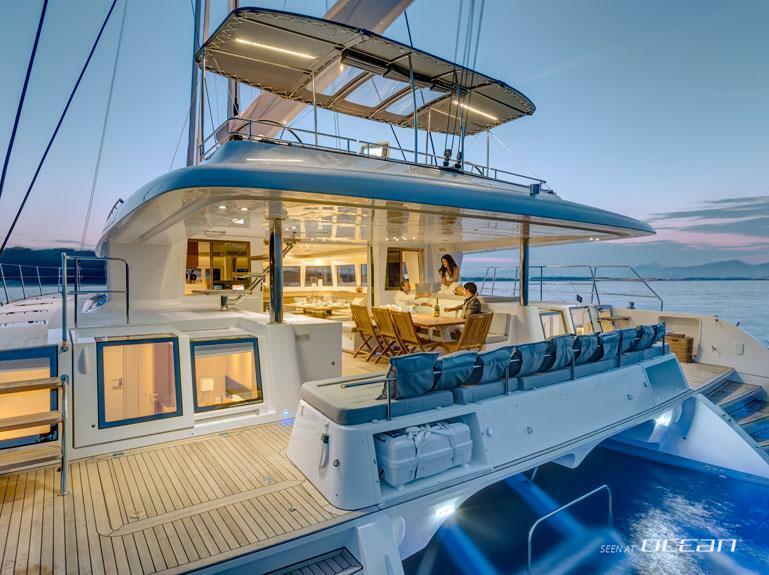 Subject to availability one way fees may apply. 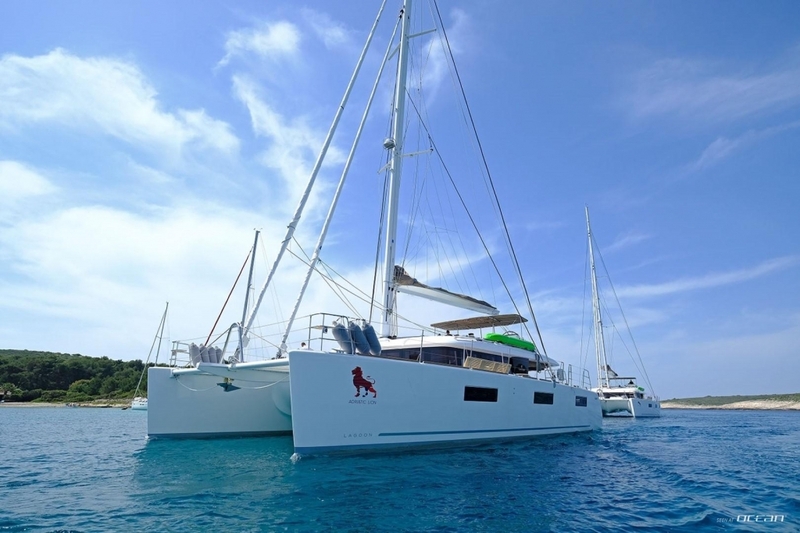 Please contact OCEAN for more information on luxury crewed one way crewed catamaran charter in Croatia. 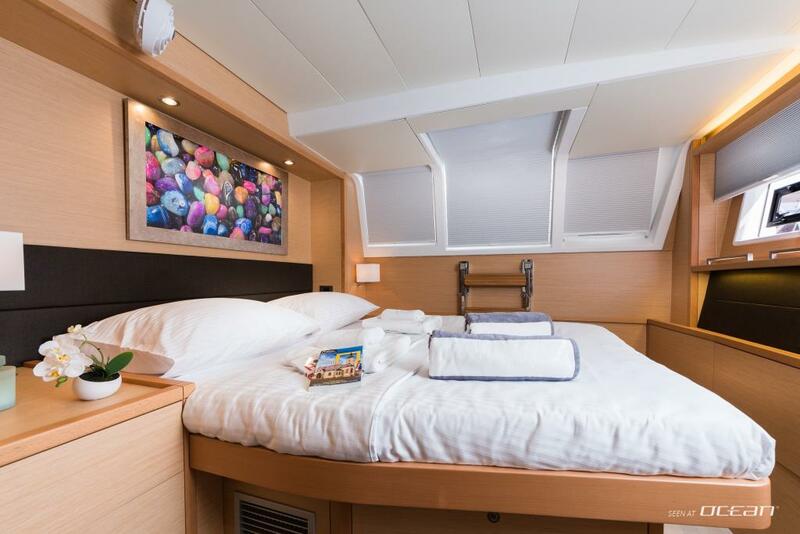 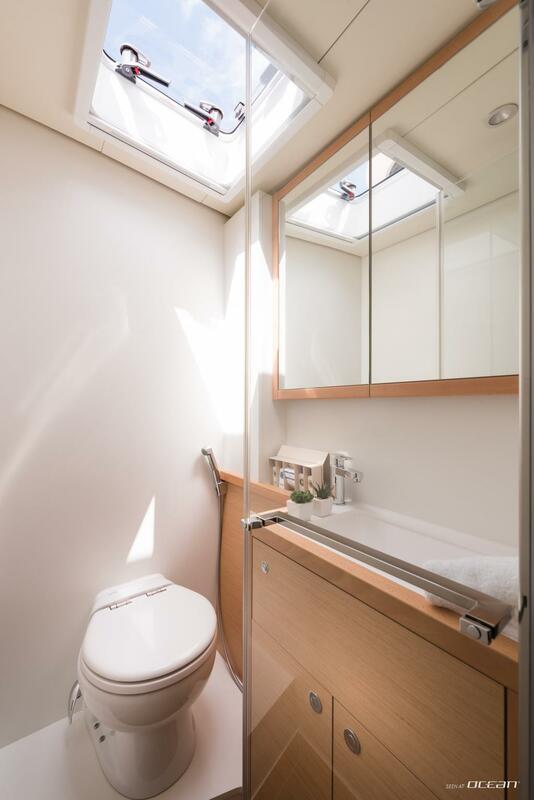 10 guests sleep in 5 double cabins and a child can be accommodated in an additional portable crib / travel bed, we will be glad to provide free of charge to result in a total of 11 guests.